Designed for everyday use by trail runners and day hikers, the Distance Z is Black Diamond's most affordable Z-Pole. Now improved with SlideLock technology and increased joint support, the Distance Z provides reliable three-season support for mountain adventures. Whether a classic ridge run is calling your name or a spicy day hike beckons, the Distance Z can answer the call. 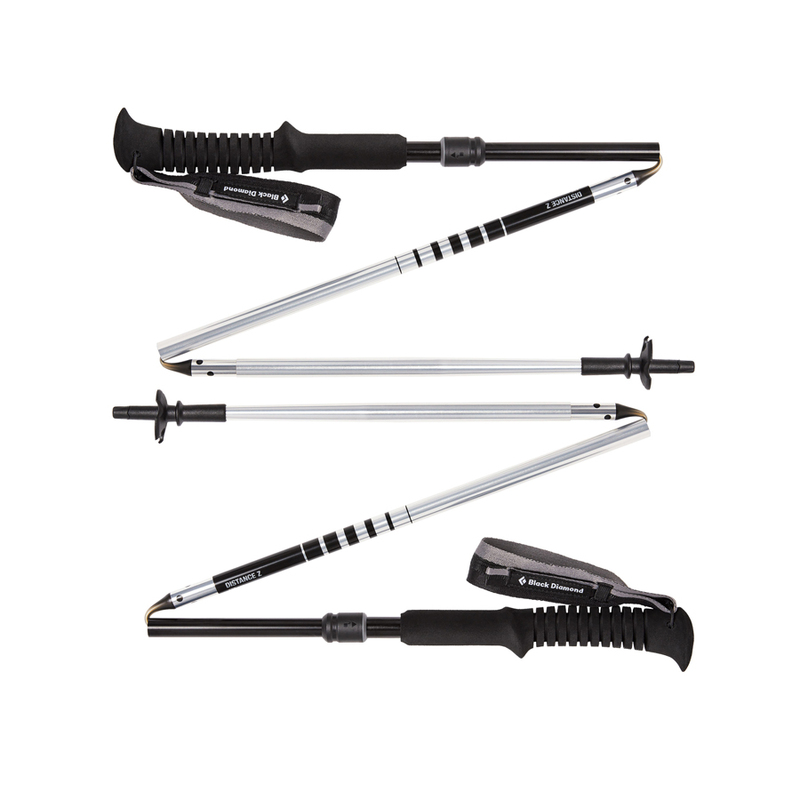 Black Diamond most affordable Z-pole features aluminum construction and a three-section foldable design that allows for fast-response deployment, so you’ll never miss out on a mountaintop sunset because you’re fiddling with your poles. Boasting new SlideLock technology, the Distance Z is now easier to lock your poles into position. Plus, we’ve improved joint support by 30%. Non-scarring rubber Tech Tips and a lightweight, EVA foam grip lend the Distance Z comfort and practicality.